Deluxe Step and Rail, Inc. Comment: The home is in Somersett so we prefer someone who is familiar with the CC & R's. We have gone over the project with the HOA but still need to submit our plan. The land is 1.3 acres but we don't want to fence in the entire property, just in the building envelope, which is huge. We have Huskys and need sturdy metal fencing with two sections of gates. We would like the fencing install to be done in May if possible but we have until the end of June. Comment: We need wrapped boards replaced, a gate repaired/replaced, and loose posts repaired. 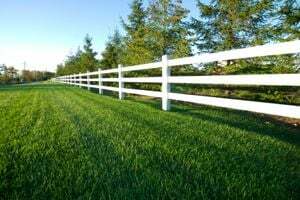 We would also like a separate quote to stain the entire inside portion of the fence, approximately 300 linear feet in Double Diamond neighborhood. Comment: My back fence has three posts that are leaning inward. My property backs up to BLM land under Peavine. The rain runoff has softened the ground and the footings have come loose. Comment: Just looking for a quote to remove approximately 20 feet of old wood fencing and replace with new 6 foot tall wood fencing. Project xxxx require new posts to be cemented into the ground as well as new fencing slats and cross members. There are currently 2 swinging gates, each 48 inches wide, which I would like to replace to keep vehicle access to the back yard. Comment: We have a 6' to 7' wire fence with wood posts. It was put up appx 30 to 35 years ago. Several of the posts have rotted out and have fallen or about ready to. We have a German Shepard and need to keep him in the yard. My mom, the property owner, is to old to help and I can not do it on my own. Reno Fence Contractors are rated 4.53 out of 5 based on 115 reviews of 9 pros. Not Looking for Fences Contractors in Reno, NV?